Don Engle says the number of houses four years or more overdue on taxes is nearly twice what it was last year. The election of Chairman and Vice Chairman for 2019 was quickly accomplished when the same commissioners were called upon to continue in their roles. Chairman Leon Warner and Vice Chair Newt Stephens were unanimously approved. Buried in other County business was a discussion and approval to enter an ETR (Emergency and Transportation Revolving Fund, with CED #1 (Circuit Emergency District) and OCCEDB (Oklahoma Cooperative Circuit Engineering Districts Board) for project JP 26881 (04) Creek County, Deep Fork River in District #3 for $345,600.00. According to Lane Whitehouse, District 3 Commissioner, this means “giving the money now and get reimbursed to get the project moving.” Commissioner Newt Stephens said this project has been “delayed and delayed, going on 8 years.” CED #1 covers the northeastern section of Oklahoma and Chairman Leon Warner is the newly approved CED representative to that board. The letting for bid for title search services for June tax resale is to be opened and awarded on Jan. 22, 2019. Treasurer Don Engle explained that each property that is 4 years overdue paying its taxes—from 2015—will be title-searched. This year it is an astounding number of houses, 950. Last year, there were 463 and due to taxpayers coming in later and paying the overdue amounts, the ending number actually sold for taxes was only 30. Meanwhile, all the properties have to be title-searched, so that the county knows if there are mechanic’s liens on them or confused or tangled titles. Of course, no one knows when or if the taxpayers will come in and pay the overdue amounts, since the “drop dead day” is June 2019. Once the title work is done, that cost is also passed along to the taxpayer who is in arrears. Engle also remarked that it is hard to get a title search company to bid because they don’t make much money per search. A resolution was approved and signed that designated 21 people allowed to drive their county-owned vehicles home at night because they are on call each night and on weekends. Michael Anthamatten, James (Nick) Bozworth, Chris Canady, Paul Farris, Ed Frank, Jimmy Grant, Paul Guinn, Charlie Hurst, Bob King, Covey Murray, Dorvel Patrick, Tim Quinton, Tim Richison, Rick Selsor, Clyde Smith, Roger Smith, Roy Smith, Earl Steeley, Jerry D. Stephens, Steve Thompson, and Brett Wimberly are among those designated. Donette Widdoes was approved to directly observe therapy (witness that the patient actually takes a proper medicine) and related services to tuberculosis (TB) patients in Creek County, in a contract with Creek County Health Department. Larry Berger, with Creek County Health Department, explained that there are currently 2 patients, one going into therapy and one coming out, and they are in isolation at home. Treatment generally takes about 9 months. The Mose Meadow Rural Road Improvement District request will be given a public hearing on the regular Monday morning meeting, February 4th, 2019. To begin the process, Mose Meadows RRID needs 2 public hearings, need to be published in the newspaper of record, and to add it to an election. The problem is that if it is a stand-alone election, it can be very costly, so the RRID vote is usually piggy-backed onto an existing election to save money and hassle. The commissioners need time to ask Joy Naifeh, Director of the Creek Co. Election Board, when upcoming elections will be held. A copy of the Creek County Employee Handbook showed no changes or inclusions having to do with Medical Marijuana, and it will be reviewed and changes will be made to stay within the new statutes. On the 28th of February, the new and improved handbook will be back before the board. 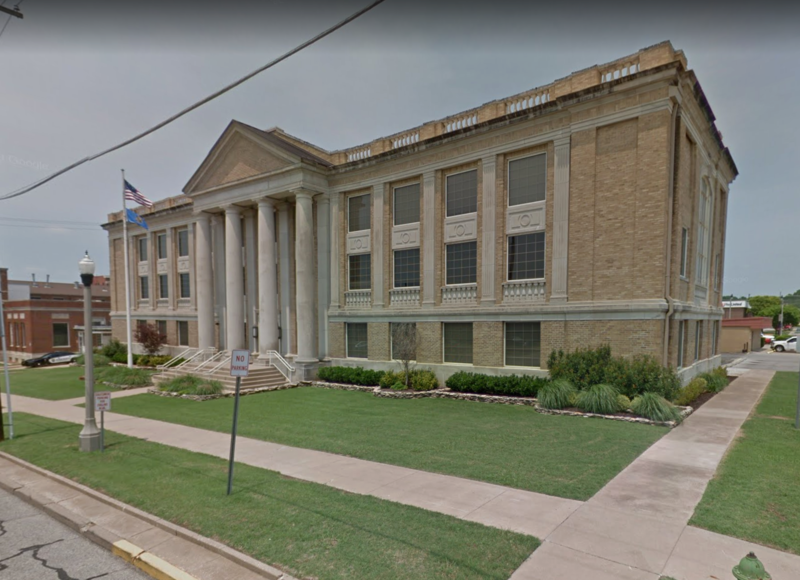 The Treasurer was directed to credit the Sheriff’s Office Capital Outlay with funds from a voucher in the amount of $4,200.00, for the sale of the sheriff’s office’s vehicles that were sold for scrap last month. Next week’s meeting will be held on Tuesday, the 15th of January, to accommodate the members of the commission who wish to attend the Governor’s Inauguration on Monday, the 14th.